Successfully Added Mini Panoramic Smartphone Camera - Double Camera, 360-Degree x 220-Degree, 1080P Video, 4MP CMOS, Fit For Android Phones to your Shopping Cart. 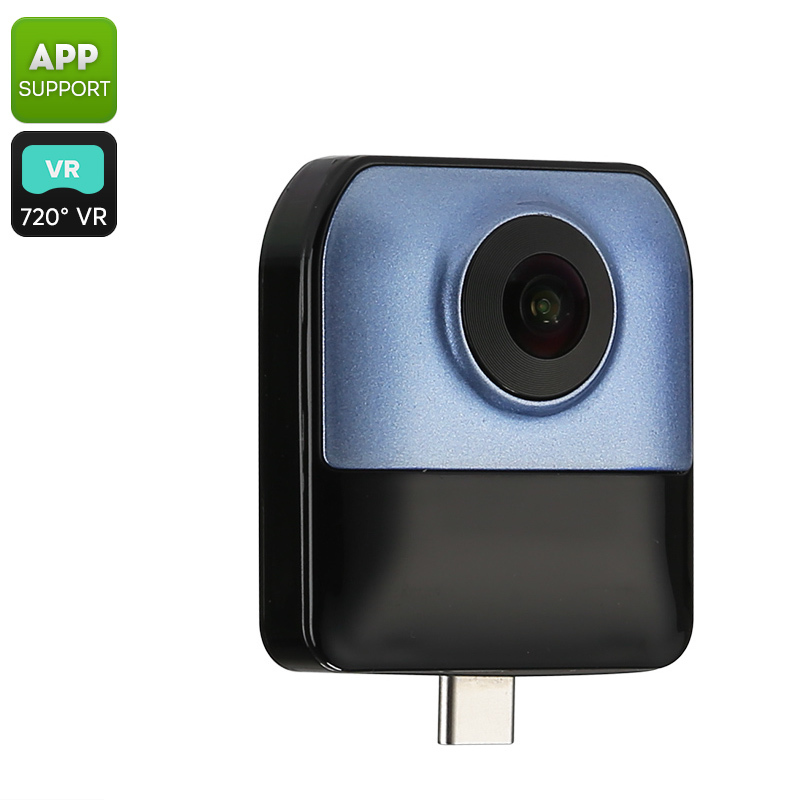 This mini panoramic camera is a fun little smartphone accessory for all of you who enjoy shooting pictures and video with an Android phone. With its USB output, this mini camera can be inserted straight into your smartphone. Once in place, it lets you shoot stunning 360-degree video and detailed photographs. This Android smartphone gadget comes with a total of two cameras. The first features a 360-degree lens whereas the second holds and 220-degree lens. Together, they are capable of providing you with a stunning panoramic fish-eye view of your surroundings. With this USB smartphone camera at your side, you’ll be able to take your Android phone photography to the next level. With its 4MP CMOS sensors, this mini panoramic camera is capable of producing breathtaking images at 3040x1520p resolution. It furthermore lets you shoot 1080p video at 30FPS. The camera works with all Android phones that run on Android 4.3 or above. All you have to do is connect it to your phone through USB and you’ll be all set to go. With its built-in microphone, it does not only take pictures and video but also lets you record audio. Thanks to this, you’ll be able to shoot the ultimate footage of all your upcoming holidays and outdoor adventures. This mini camera comes with a 12 months warranty, brought to you by the leader in electronic devices as well as wholesale smartphone accessories..